I love cabbage, and I really love it in this Southern fried cabbage recipe with sausage. The cabbage cooks down until it's super soft, and the browned bits of Italian sausage on the bottom of the pan mixed with a little bit of water makes a very simple sauce. In addition, the carrots give it a beautiful color that will make a great centerpiece at the table. 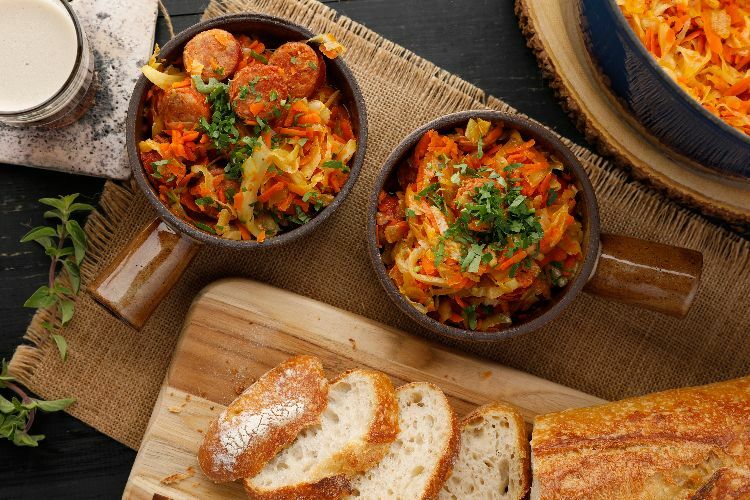 Because the ingredients in this dish are so few and simple, I like to use hot Italian sausage to give it even more flavor. Browning the sausage is really the most time-consuming part of this meal, with the entire thing coming together in just about 30 minutes. It's no wonder that fried cabbage and sausage is such a Southern classic. Heat olive oil in a large pot over medium heat. When hot, add Italian sausage pieces. Cook until sausage begins to brown. Add the carrots and onions and cook for another 5 minutes, or until the onion is softened. Put in the cabbage and cook until it starts to soften and the sausage is completely cooked through. Add sugar and garlic powder, stir and cook for another 5 minutes. 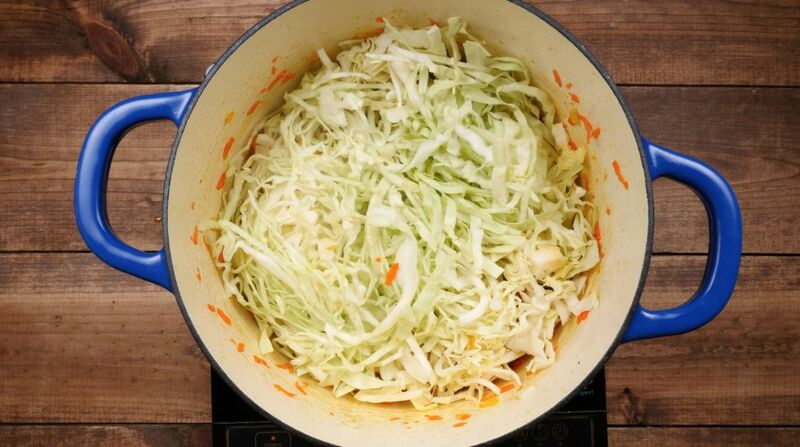 Add water, cover and let simmer for about 5 more minutes, or until cabbage is entirely softened. Add salt and pepper and stir. Cook for another minute before serving.